We put Fujifilm's 24mp XF10 compact camera to the test, and find out how the 28mm equivalent lens performs. 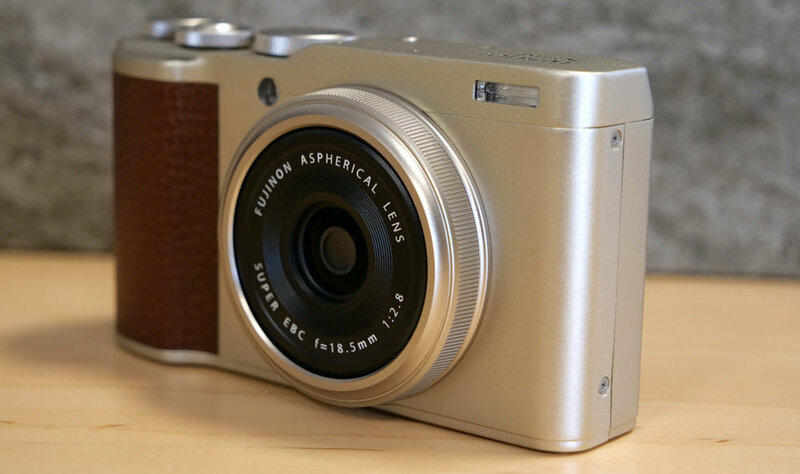 The Fujifilm XF10 offers a large 24mp APS-C CMOS sensor, and a wide-angle 28mm equivalent f/2.8 lens. 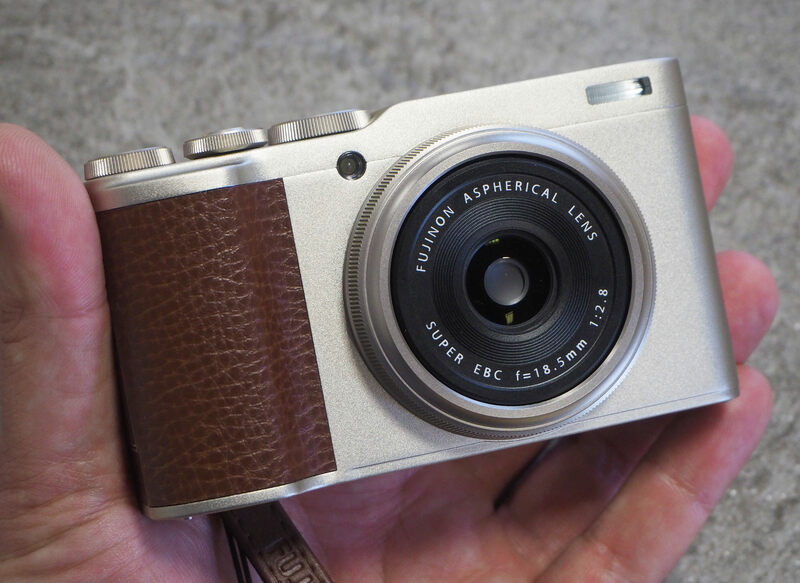 It's small enough to fit in most pockets, and with built-in Wi-Fi and Bluetooth, Fujifilm think it should appeal to the connected photographer. It delivers images with low levels of noise, but it might not be to everyone's tastes due to the small size of the camera. 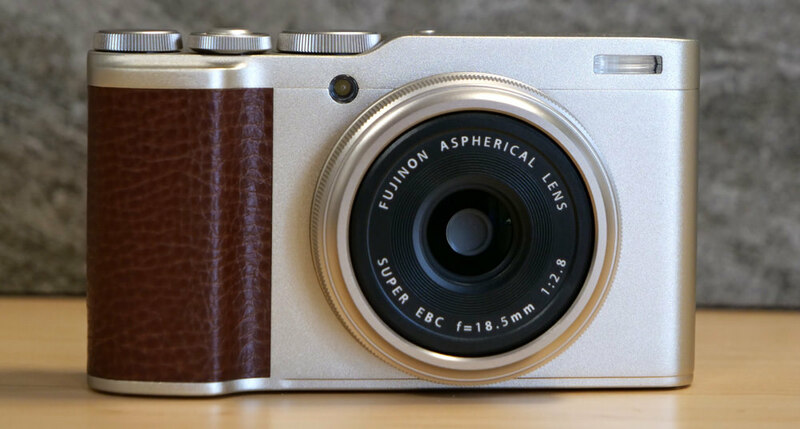 The Fujifilm XF10 was announced back in July. It's a premium compact offering a fixed wide-angle 18.5mm lens, equivalent to 28mm (in 35mm terms). 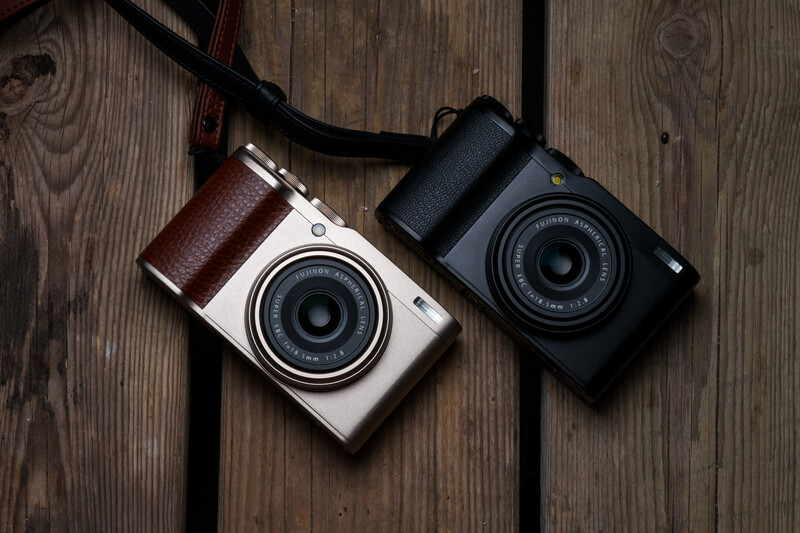 Similar in size to the Fujifilm X70 compact, it's a stylish camera with a minimalist, classic design available in 2 colours - Gold/brown leather and all black. It's available for £449 on Amazon. ($499 on Amazon.com). 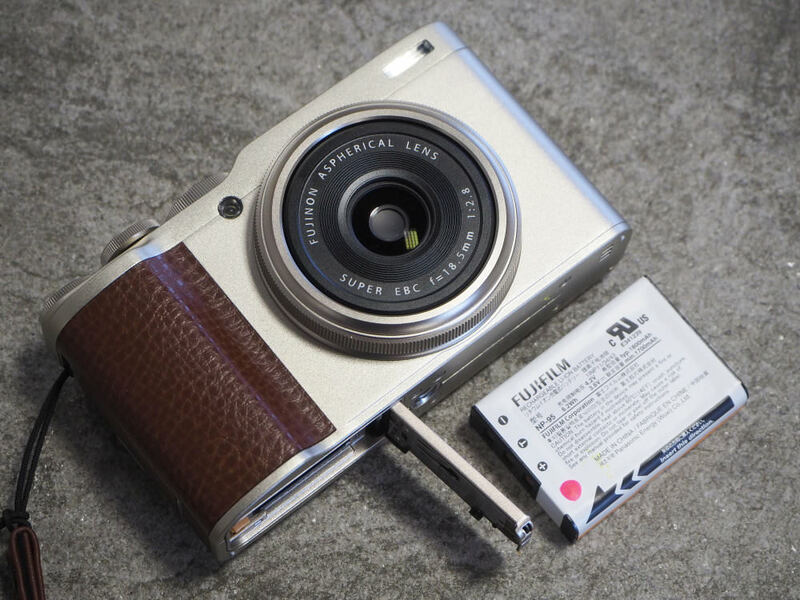 The Fujifilm XF10 has been designed with the social generation in mind - Bluetooth and Wi-Fi are built-in for easy photo sharing, and there are lots of digital filters to apply to images as well. There are 19 advanced filters and 11 film simulation offerings. It's a light build at 280g and packs a 24.2-megapixel APS-C CMOS sensor. This is 14x bigger in physical size than an average smartphone camera sensor. You can see where Fujifilm is trying to go with this - bring your XF10 along for stylish images that can easily be transferred to a smartphone, giving you an edge over smartphone shooters. This is reinforced by the camera's 'square mode', creating 1:1 images which are Instagram ready. There is a "digital teleconverter" letting you switch to 35mm or 50mm equivalent. The XF10 also shoots 4K video at 15fps, FullHD video at 60fps, and high-speed 720p video. The lens is the same 18.5mm f/2.8 optic found on the Fujifilm X70 and is equivalent to 28mm in 35mm film terms. 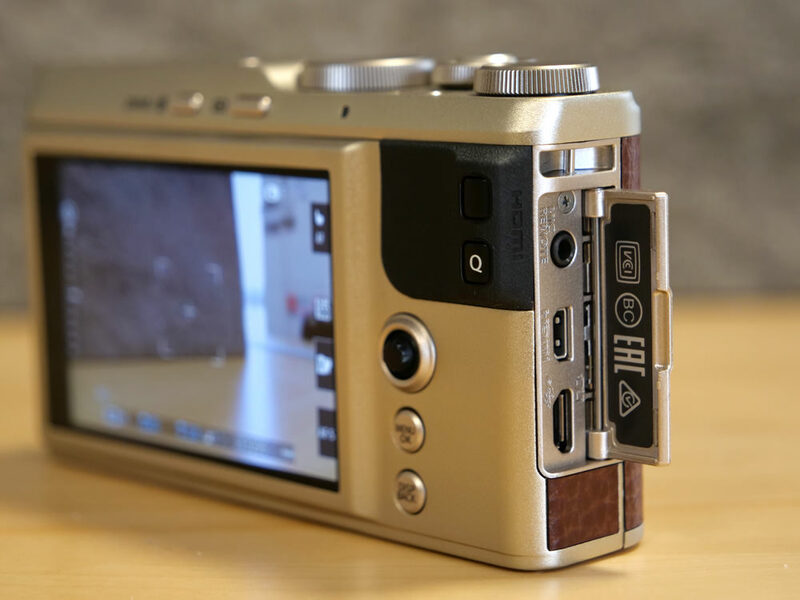 The camera has a very simple design, with the flash on the front. On top, there's a mode selection dial, as well as 2 dials for adjusting manual settings, one of which is around the shutter button. You'll also find the on/off button at the top. On the back at the top are two thin buttons for looking at and deleting images. There are a couple of shortcut buttons to the right of the thumb rest, including a Q (Quick) button. Instead of the usual 4-way control dial, we have a joystick which can be depressed for selections. Below this are menu/ok and disp/back buttons. This makes the back of the camera look quite barren and plain, adding to the minimalistic feel. There is a 3-inch fixed touchscreen. On the bottom is the battery/memory card hatch and on the right- hand side we have a flip latch giving access to a Micro USB port and HDMI port. The camera has a nice matte finish and feels good in the hand. The thumb grip has a reassuring black rubberised curve to it, and the front grip is ample. The camera feels sturdy and this is reinforced by its metal construction. There are 91 focal points, covering a wide area of the screen, and depressing the joystick while in shooting mode will let you adjust the focal area. 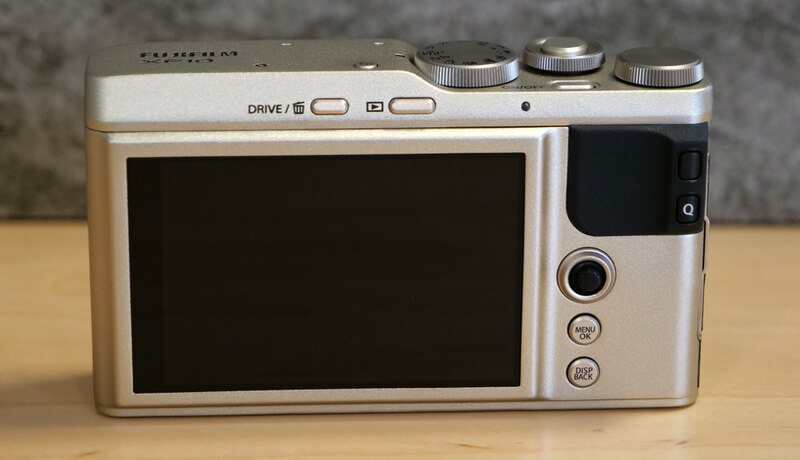 Those with larger hands may find this a little fiddly, and the buttons are generally pretty small on this camera. 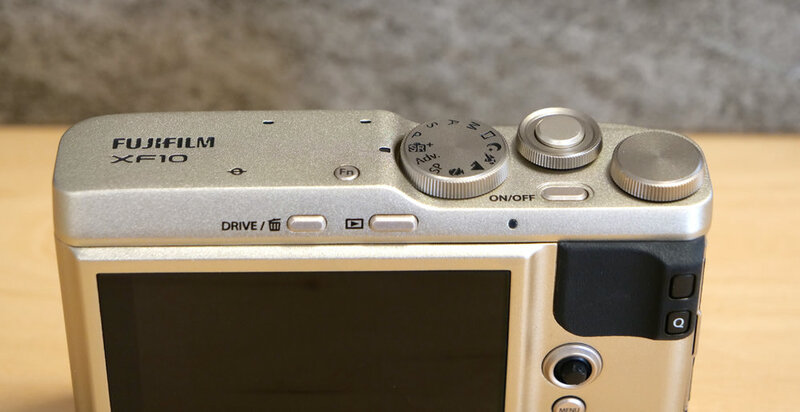 The camera has a customisable Fn1 (Function) button on top of the camera. There's a rear drive/delete button, and playback button, plus an unlabelled button on the thumb grip, this is the second Function button, above the Q button, and can be customised. The Q button gives quick access to settings on the rear screen. The touch-screen on the back provides a good, clear view of the image with accurate colour reproduction. There are options to adjust the brightness and screen colour to your needs, with the screen able to cope in even the brightest of situations, despite the fact it doesn't tilt. The touch-screen can be used for a number of things, including touch shooting, AF, area, or off. You can also use it to zoom in to the focus, to check focus (or focus manually). There are also swipe options which can be customised so that you can swipe the screen to get access to additional options and settings. There are some on-screen controls you can set using the touch-screen, however, you can't change or set the Q menu options, nor can you use the touch-screen to control the menus. When you initially turn the camera on there is the option to pair it with your smartphone using the Fujifilm camera remote app. A QR code is provided on the screen for ease. The menus are easy to navigate using the joystick - it's quite intuitive. The back and OK buttons make selecting a retracing your steps within the menus easy as well. The movie options are quite well hidden, and it would be nice if there was quick access to these settings. In playback, you can process raw files. Battery life - Battery life is rated at 330 shots according to CIPA test results, which is good for a compact class of camera.